Never before have the pressures of a comparative and competitive world impacted on our sense of wellbeing, particularly among young adults. Building on the principles of Giving Voice to Values, which honors the complexity and difficulty of leading with our values, this book addresses the unique challenges faced by young adults. It provides a clear process that details how to harness natural wisdom to flourish through the relentless pace and pressure of today’s world. Moving beyond mere values clarification, Authentic Excellence helps the reader develop a deeper relationship with their values and confidently express them, and builds effective coping skills to manage the relentless noise of our comparative and competitive world. How are young adults affected by this world of relentless change and pressure? Why are young adults vulnerable to a plateau that can negatively affect their resilience? 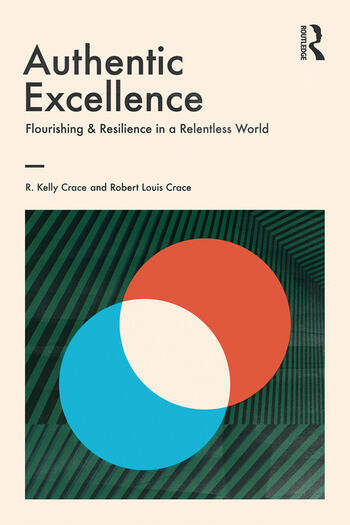 What is the difference between fear-based excellence and authentic excellence and what role do values play in this distinction? What is necessary to move beyond fear-based excellence and why is it so hard? How do you train a deeper level of effectiveness that includes more consistent productivity, fulfillment and resilience? R. Kelly Crace is the Associate Vice President for Health & Wellness at William & Mary and Director of the Center for Mindfulness and Authentic Excellence (CMAX). He is a licensed psychologist and the co-author of the Life Values Inventory. Robert L. Crace is the Executive Director of the nonprofit Life Values Inventory Online, Inc.